A post office was in operation in Leona in 1846. 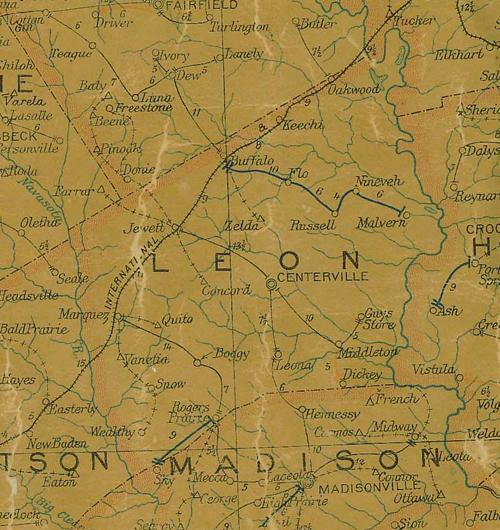 The Texas legislature directed Leon County to come up with a centrally-located site for a county seat in the late 1840s. They chose Leona but the state disagreed with the choice. It eventually reached the Supreme Court of Texas in October 1850 when it was decided that Centerville offered a better location for all Leon Countians. 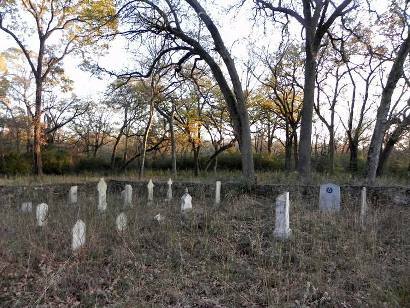 The estimated population for the town was 150 residents from the mid 1840s through the mid 1890s. In 1933 the estimated population was set at 200 residents. The next figures available were from the 1980 census when a mere 91 people were counted. It increased to 165 by 1982 and the 1990 census figures of 178 increased just 3 people for the 2000 census.